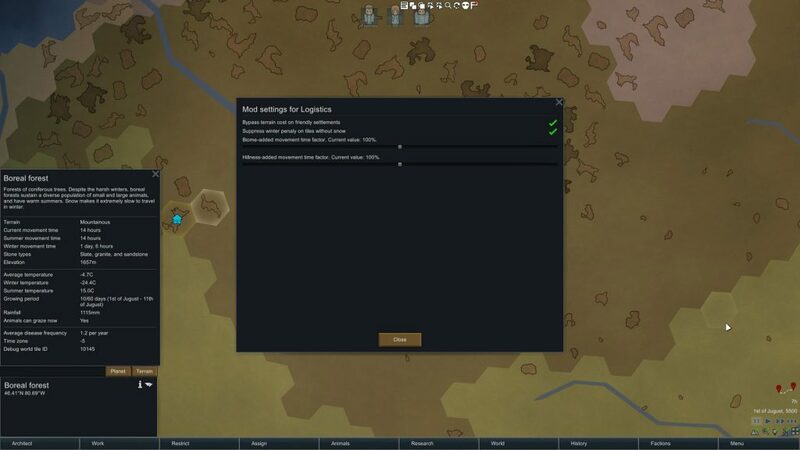 The Logistics Mod allows you to configure certain worldmap travel time factors. No longer will you have to live in an arid shrubland to be able to use caravans! No penalties for tiles with friendly settlements. No winter penalties for tiles without snow. Configurable biome travel time penalty. Configurable terrain travel time penalty. License: All original code in this mod is licensed under the MIT license. 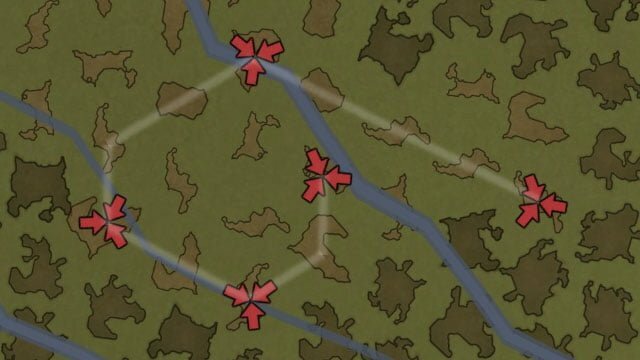 If you’re looking to make caravaning more viable on tough biomes, the Logistics Mod is what you’ve been looking for. It’s always up to you how much easier (or harder) you want to make it, but at least now you have the option!